and Explode Your Practice Overnight! Enables you to do more for them… Keeps them longer… Makes you more money… All with less work. Eliminate the parts of your business that don’t make money? Add something new to rejuvenate old client relationships? Differentiate yourself in the business consulting marketplace? Add $2,500 – $10,000 recurring revenue per month per client? Make money between engagements at your convenience? Save time educating clients as they work with you? Access client projects and collaborate from anywhere / anytime? Maintain oversight over clients’ progress? Profit from potential clients not ready to work with you? Get referrals for more clients right when they need help? Private label it so it looks like it’s yours? Make it impossible for clients to leave for another consultant? “I have used your services for many years and always found both the products and your customer support to be excellent. Ties all of your processes together into a comprehensive execution management system. “The tools you offer through your site are invaluable to consultants both old and new. What you offer is something unique, interactive, and educational. This dashboard can be your new interface to show potential clients how much you can do for them and why you’re the preferred advisor… Use it to direct and coach them, solve immediate problems, scale their business with necessary systems, and/or quickly get them ready to raise capital or sell. Today, consultants can use a hundreds of organized business software templates to expand your practice, demonstrate to new clients how much more you offer, collaborate with clients all over the world, and even streamline managing them through a consistent interface. We will even send you more clients. Why we like business coaches and consultants so much! Our customers need all the help they can get — That’s where you come in! We’re creating partnerships with consultants giving you more to offer your clients as well as a better way of managing projects with them. If you are such an advisor / consultant / expert, we have a number of profitable growth options for you. For the full picture, take in this entire page. Use any/all Business Power Tools apps & templates for 14-days! For example: Put an employee handbook together for a client! This unique system enables you to get some real traction with more clients and do more for them for more money — with less work! Perhaps it’s been a while since you’ve used BizPlanBuilder or any of our software. We’ve accomplished a lot over the years and they’re better than ever! Now BizPlanBuilder is web-based and you can collaborate online — even between PCs and Macs! Here are dozens opportunities to expand your practice, reach out and build your business, for yourself and your clients! They’ll do a lot of the work, but you’ll be the hero — being their advisor, doing what you love. Why does the DEA sell confiscated airplanes for half price?!? They’ve Got No Log books! Engine history? Damage repairs? Must need work! the Business Power Tools platform can help manage the heavy-lifting. Helps you and your firm save time educating and preparing clients for high-value mergers, acquisitions, or recapitalizations, and your clients can do much of the work for you! It’s like your company brain-trust — your “airplane log books” — that go along with it. and your valuation could be for 2X? to 3X? more, that much faster! Why lose a potential client because they aren’t able yet to pay you to help them? As a low cost way to get them started, use our Referral Partner Tracking (Affiliate) system to refer them to the dashboard. It even sends you an email when they subscribe (a good sign of some level of seriousness). Now, you’ll know who is worth following up with in the future. Per your recommendation, I bought and began using Business Power Tools Biz Plan Builder. It’s pretty easy to use and really straight forward – a good way of organizing ideas I think. I wanted to check your availability and see if there’s a time we would be able to meet up and discuss the Financials — if you aren’t free outside of your regular office hours, I may just have to email you questions. I still have a lot of assumptions to input, but once I’m a bit further along, we can collaborate. With BizPlanBuilder, it’s easy because it’s already organized and written—together you can complete the sentences and edit the variables. Like all of Business Power Tools’ apps, it’s collaborative so you get it done quickly and easily, and have a working blueprint to go forward! And you’re front and center for that gig! Collaborating efficiently just makes everything easier! Stay working with clients longer. You can create as many projects as you like for yourself and your clients. Use the online system to organize and edit the docs, then print hard-copy for your clients. Crank ’em out! With more clients coming to you, the system manages them most efficiently! Clients can follow along online, add their input, and do some of the work while you provide the expertise. When clients have their own subscriptions, you can add the rest of their employees and give them read-only access so they can access the employee policies, safety procedures, etc. online! Keep the team and other employees aligned and focused on achieving the company’s most important objectives. No need to print hardcopy of manuals, etc. Subscribe your clients, add more tools, have them add more users… Everyone wins! And you get paid every month! See the FAQs below for clarification on subscribing clients. We will even we send you our clients! Our subscribers need all the help they can get! Business owners often like to do things themselves, but the very things that make their businesses unique, can also create some glitches… that’s where you come in. You’re an expert and you work nearby. While they’re using our software to handle a variety of business projects, they often want a professional to help or review their work, offer additional advice, address unique circumstances, and introduce them to important contacts. List yourself in our our Business Advisor Referral Network now and enable qualified clients to find you at just the right time. They can contact you directly. As this gathers momentum, we plan to charge $37/ mo => BUT, for now we want to add you to the network so hurry and get in while it’s FREE! “Iown a full service Advertising Agency in NH. I use several of your products on a regular basis. We use Employee Manual Maker and Employee File Builder for HR, Agreement Builder to build many of our agreements with long-term clients, customers, and vendors, MarketingBuilder to build the templates to many of our marketing, advertising, and public relations plans, and BizPlanBuilder to build our business plan and corporate structure. You don’t have to be new to business to use these plans. I’ve been in business for nearly 25 years, and I find these programs every bit as useful now as I did when I was learning as a new business owner. I maintain my upgrades because there is always new and better information supplied in the programs. These guys know EXACTLY what they are doing, and how to do it. I had one situation where BizPlanBuilder came in unbelievably useful. I was hired by a small record label in Tampa, FL to put together a business and marketing plan for them to use to raise $350,000 in capital for their company. I was also hired to make the presentations to potential investors. Using both BizPlanBuilder and MarketingBuilder, I created the needed presentation. Do you have expertise in a specific industry? Contact us if you’d like to partner with Business Power Tools to create a custom business dashboard loaded with industry-specific templates. Should my clients subscribe, OR better to subscribe for my clients ? To engage more clients in longer-term, more lucrative projects, provide each client with their own subscription. Within the subscription, you, your clients, and their team have private, secure access to the entire BusinessPowerTools system online. As the system Admin, you set up their subscription and control who on their team has Admin, Editing or Read-Only access to each of their apps. we rebate you 30% of our prevailing subscription rates on all referred software and/or subscription sales. you can enable Admin access to your client! Replace your credit card with that of your client. You continue to earn 30% on their subscription! Does each client require their own subscription? You can develop as many projects for yourself as you want with just one account. If you want to collaborate, you can add as many additional users as you need. But first you must understand how the dashboard and its security works. Otherwise, if you give one client access to the Business Plan tab, for example, you give them access to all business plans. Security is built around the subscription to protect all of a subscriber’s dashboard assets and enables managing all of their apps and templates from the “My Account” control panel at the top of the dashboard. All of Planning, Finance, HR, Legal, Management, Marketing, PR, Procedures, R&D, Sales… belong to one subscriber. We presume that all those invited to collaborate or view belong to or work for that subscriber. Next, we give you control of who has what kind of access to specific sections. Within each subscription you can add as many people as you want, while controlling which sections they have access to and whether or not they can just read it (read only) or have editing (read/write) capability. This way everyone working for a company can contribute and/or be made aware of all things specific to that company / client. Finally, the left hand knows what the right hand is doing and they can work together! So, if it’s just you writing a business plan, you can write as many as you want because you have secure access to all of them. If you are developing multiple business plans for multiple clients, the way to keep them separate and secure is to open a new subscription for each client company, and their respective teams and advisors can be given controlled and secure access. If a plan is for different clients requiring access for collaboration / review, each would require their own subscription. As you might imagine, it’s very complicated to try and replicate another layer of security around each individual section just to control who has access to individual docs within a section. Instead, we made the system more economical and secure to handle everything within a single subscription. We think you’ll find the subscriptions reasonable and managing users very easy. You can be confident that your clients are assured that no one outside their company can get anywhere near their data! Given all the tools available, we believe that you’ll enjoy and excellent ROI on your client subscriptions and gain many advantages for landing and managing clients, and serving them well! Each ratio is fully explained and has a field where you can enter the ratios from BizStats and the system automatically calculates the variance. We also include the Excel financial models as well with the cloud system so you can work on what-if scenarios locally. We have 700+ job descriptions in a wizard-driven database. The agreement templates are in plain-English and most have global application — we have many international customers using them. 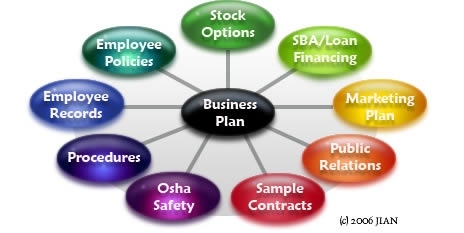 In Biz Plan Builder do you have sample plans for different industries? Can you provide me with the full list. Does the consultant toolbox cover 10 years financial projection? and what-if scenarios? Does the financial projection cover all ratios? or mainly investors related ratio only? Does it includes industry benchmark ratio? Do you have samples for different job description for different titles which covers also the procedures? The Agreement templates are only for USA or can be used for international business? As the consultant toolbox is cloud-based tool, so I can’t use the financial projection with what-if scenario locally, is that right? I am waiting your feedback to proceed.